We all know about the four fundamental forces of nature: gravity, electromagnetism, and the weak and strong forces between atoms. But could there be a fifth force still waiting to be discovered? A new experiment performed in Hungary suggests this may very well be the case. Nature News reports that a team of physicists led by Attila Krasznahorkay of the Hungarian Academy of Sciences published a rather provocative paper late last year in Physical Review Letters (pre-print version available here) claiming that a strange radioactive decay anomaly is indicative of an unknown fundamental force. Despite the incredible claim, their paper wallowed in obscurity until physicist Jonathan Feng and his colleagues at the University of California decided to give it a closer look—and they found nothing wrong with the Hungarians’ experiment or conclusion. The physics world is now abuzz with the possibility of a undiscovered fundamental force. 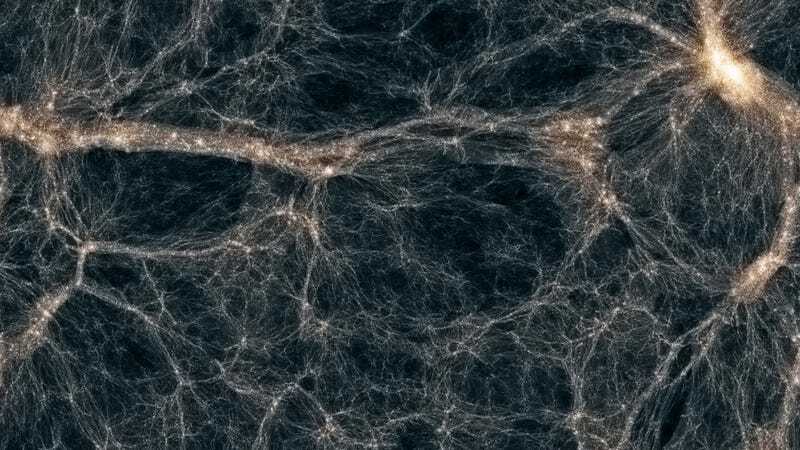 Speculation about this elusive fifth force has existed for years, partly driven by the inability of the standard model of particle physics to explain dark matter—a hypothetical form of matter that comprises a huge portion of the mass and energy in the observable universe. Theories about modified gravity have been tossed about, as have ideas about exotic-matter particles and force-carriers known as “dark photons.” And in fact, the Hungarian scientists were looking for dark photons when they stumbled upon something else. During their experiment, the researchers fired protons at a thin strip of lithium. As it absorbed the protons, it morphed into an unstable version of beryllium, which decayed even further, spewing out pairs of electrons and positrons. When the protons smashed against the lithium at the precise angle of 140 degrees, more electrons and positrons poured out than expected. Krasznahorkay and his colleagues hypothesize that this extra stuff is coming from a new particle that’s 34 times heavier than the electron—a possible indication that there’s an undiscovered force just waiting to be found. As the Nature News article points out, there’s a decent mix of skepticism and excitement about the experimental results. Physicists are now thinking about different ways to scrutinize this intriguing finding. Researchers at the Thomas Jefferson National Accelerator Facility and other groups in the United States and Europe are now working on the problem, and expect to confirm or invalidate the Hungarian experimental results in about a year.